ARIES – Some of you who have been working overtime lately and with your energy lagging- the last thing you want today is a day of stress and dilemma. Control your tendency to live for the day and to spend too much time and money on entertainment. Give proper time and attention to family life. Over indulgence in office could cause problems at family front. Let your family members feel that you care for them. Your beloved might be in a difficult mood today. Control your rash behavior, as it may ruin a good friendship. You need to move out and rub elbows with people at high places. It might become a really difficult day of your married life. It is going to be a day with more religious activities such as visiting a temple, offering something to needy and practicing meditation. TAURUS – Take care of health and set things in order. Money gains from unplanned sources brighten up your day. Your extravagant lifestyle could cause tensions at home so avoid late nights and spending too much on others. Romance rules your heart and mind. You will make commitment to the people who look up to you for help. Looks like, the day is better than normal days with your life-partner. Stars indicate that it might be comparatively a lonely day for you. Spending time with your pet may solve this problem. GEMINI – Unexpected travel can be tiring which would make you frenzy. Massage your body with oil to give relief to muscles You will be in the mood to travel and spend money- but you will be sorry if you do. Someone you live with will be annoyed if you have been ignoring your household duties. Quite complicated life for romance today. Secret enemies will be eager to spread rumors about you. An old issue might crop up in between you two during a humors discussion, which will eventually convert into an argument. You want to accomplish a lot during this weekend, but feeling of frustration might grip you if you let procrastination get better of you. CANCER – Today you will have ample of the time to do things to improve your health and looks Today financial losses seem likely if you invest on the words of others. Someone close to you will be in a highly unpredictable mood. You will get to see a new wonderful side of your love partner. Travelling will not bring immediate results but will lay down good foundation for future benefits. It’s going to be the most romantic day of your life with your spouse. You are going to have a great time with friends. You may hangout at places where opportunity of meeting great people is ample. 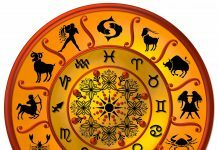 LEO – Today is also a good day to follow religious and spiritual interest. Expenditure rises but rise in income takes care of your bills. Sudden good news towards the evening brings happiness and cheers for the entire family. Love life will be vibrant. Not a very good day for traveling. Your spouse is really in a good mood today. You might get a surprise. Time is absolutely free, but it is precious too. So, accomplish all your pending tasks today and relax tomorrow. VIRGO – Your hope will bloom like a rich delicate fragrant and dazzling flower. Control your tendency to live for the day and to spend too much time and money on entertainment. Your interference in wife’s affairs could make her frenzy. Take her permission to avoid temper flare up. You can easily avoid the problem. Likely to be rewarded for fair and generous love. Some of you will undertake a distant journey-which will be hectic-but highly rewarding. Your spouse will put efforts in making you happy today. Do not be upset over the thought that entire day has been wasted, rather think about utilizing rest of the day in the best way possible. LIBRA – Dormant problems will surface bringing mental pressures. Do not volunteer to spend or you will come home empty pocket. Take risk with something noble and worthwhile for the sake of your family. Don’t afraid because a missed opportunity may never return. Love likely to remain in low spirits. Good news most likely from a distant place expected by late evening. You might make a blunder today, which might hurt your married life. Stars indicate that you might spend a major chunk of your time in watching television. 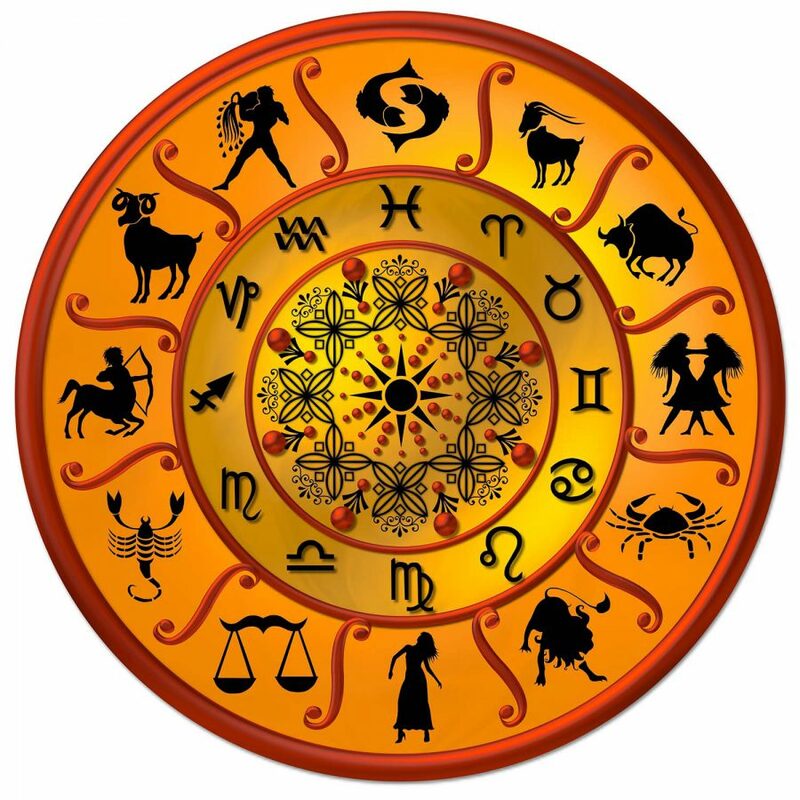 SCORPIO – Expectant mother should take special care while walking on floor. Speculation will be hazardous- therefore all investments should be made with extreme care. Youngsters may seek some advice on school projects. Sudden romantic encounter are foreseen today. Take care of your action and words as authority figure will be less understanding if you do something deceitful. You may doubt the sincerity of your sweetheart, which will ruin the glory of your married life in coming days. Getting stuck in someone’s company that you do not enjoy much might irritate you. So, choose wisely who you go out with. SAGITTARIUS – Sheer pleasure and enjoyment for you- as you set about to enjoy life to the fullest. Do not overspend on household luxuries. Your careless attitude will make parents worry. You need to take them in confidence before starting any new project. Romance seem to take a backseat today as your beloved behaves highly demanding. Today is one of those days when things will not move the way you want. A tiff is possible today due to relatives, but at the end of the day everything will be resolved beautifully. You might feel that you have wasted most of the day. Therefore, it is better to plan your day in a more productive way. CAPRICORN – Today’s entertainment should include sports activities and outdoor events. Extra caution and care seems to be the word of the hour when handling finances. Avoid arguments and confrontation and needless fault finding in others. You will catch the eye of a special someone-if you move about within your group. Not a very good day for traveling. A good dinner with a good night sleep is expected for your married life today. Candlelight dinner with someone special may help you eliminate all exhaustion you accumulated during the week. AQUARIUS – Take care of your health. You will like to overspend on others. The day starts with good news from close relatives or friends. Problems could arise at home- but avoid criticizing your mate over small issues. Boundless creativity and enthusiasm leads you to another beneficial day. Your life-partner might give less care and importance to your family members as compared to his/her family members in times of need today. You may get a phone call from someone who you wanted to talk for a long time. It might bring back a lot of memories and make you feel transported in that time once again. PISCES – Motivate you to be more optimistic. It increases confidence and flexibility but at the same time prepare it to leave negative emotions like fear hatred jealousy revenge. Stick to your budget to avoid financial constraints. Stay away from people who are likely to influence you with bad habits. You are likely to be misunderstood in love affair. Your flair to convince others will pay rich dividends. An external party might try to create differences between you and your partner, but you both will manage it. Shopping with family seems to be on cards this weekend, however you may spend more than necessary.